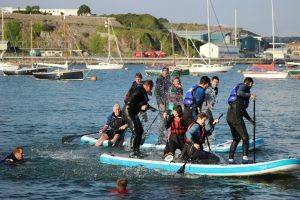 18/07/2018 Giles LetherenBlogComments Off on Splash! 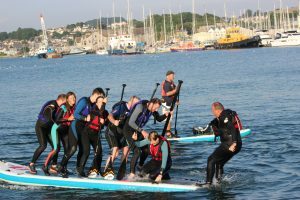 The opportunity to share an evening with colleagues messing about on the water, was one not to missed for Delt’s intrepid water babies. 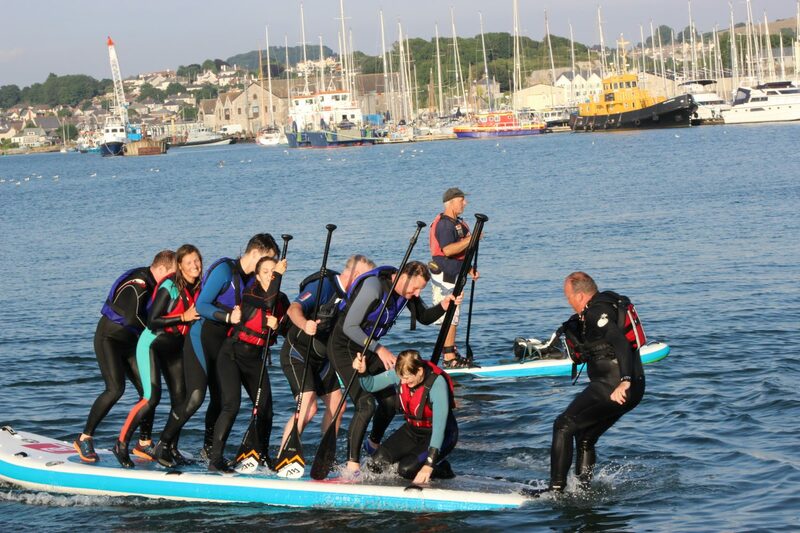 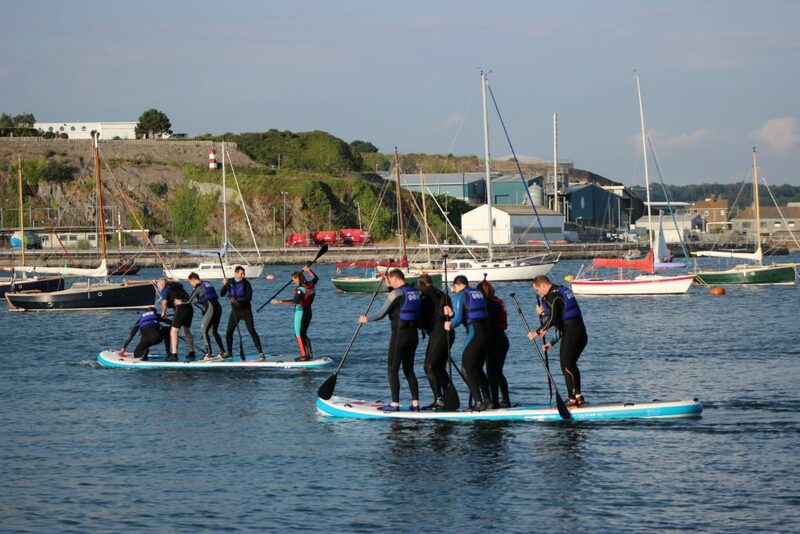 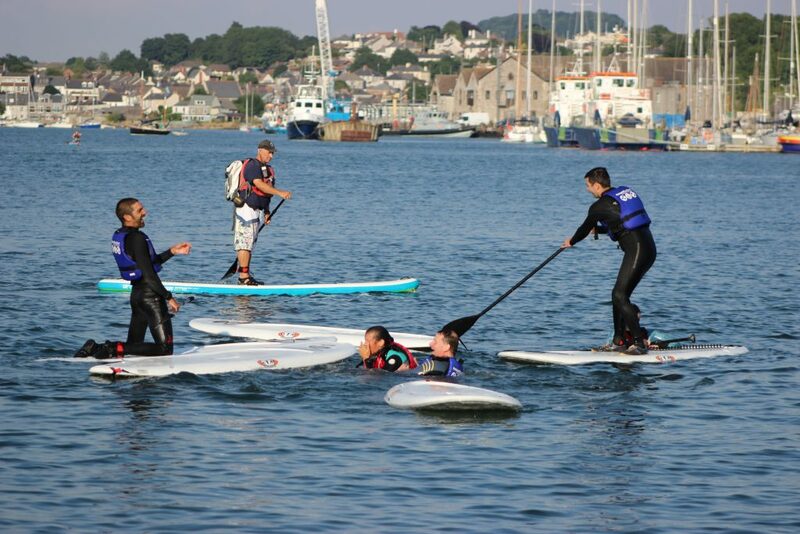 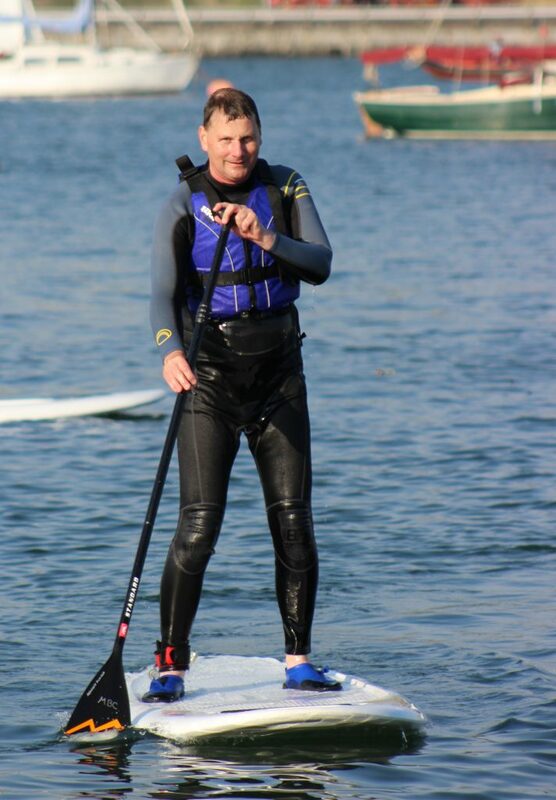 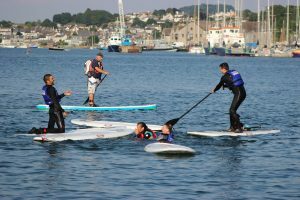 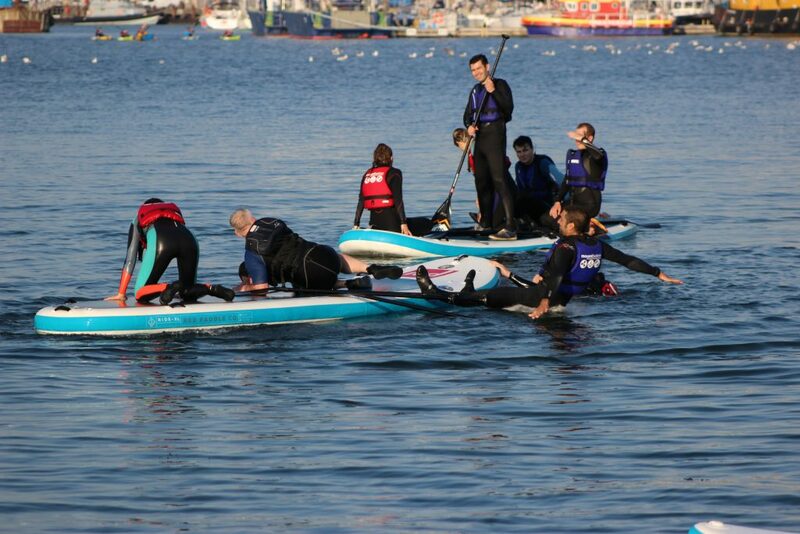 An introductory lesson in Stand Up Paddle boarding at Mount Batten Water Sports Centre. 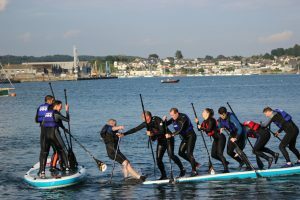 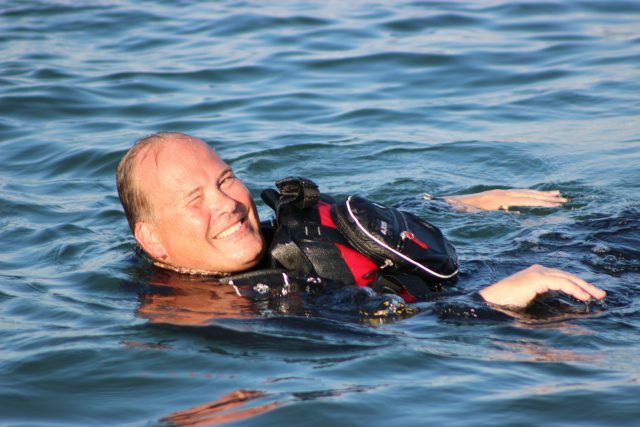 Having tried various methods of falling in, with additional points for the largest splash, wiping out others and general getting your friends wet. We opted to move away from one-man boards to the much larger Team SUP’s. 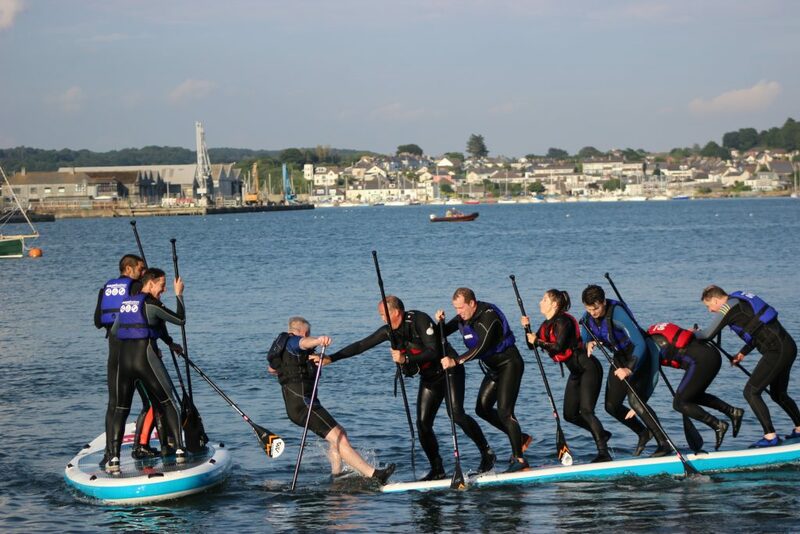 Well, if you think controlling your own balance, whilst 6 of your colleagues are simultaneously trying to move, wobble and stay upright is an easy task I would suggest you give it a go, needless to say the effect was 7 people soaking up the salt water. 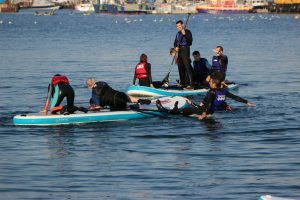 These team events, very quickly, broke down into water fights, cross board incursions and free for all wrestling matches. 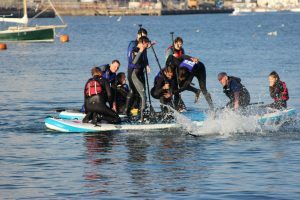 Old scores being settled, and new ones being quickly levelled, as Director took on CEO, technicians taking on service heads and all round general merriment, mirth and bruised (and wet) egos. 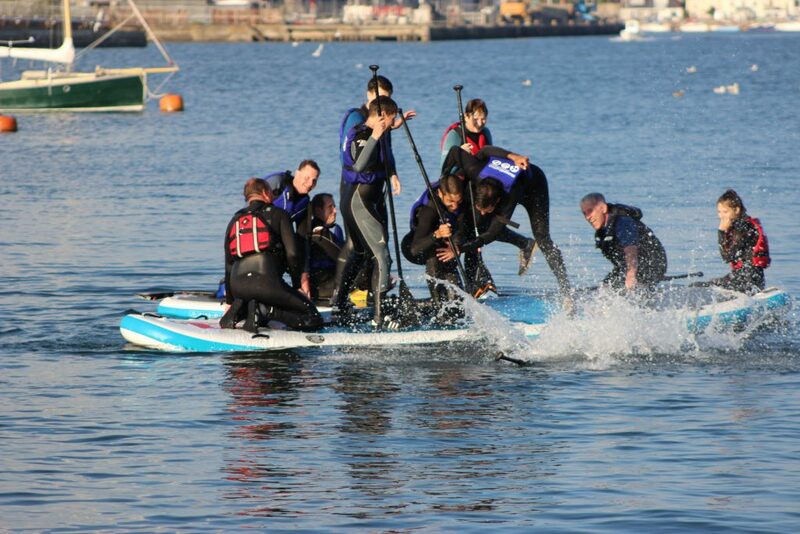 The 2 hours passed in a splash, leaving us exhausted but having had a great team building experience, very different to the usual office interactions.